Over a year ago we took Danny’s Z32 from a tired Z to a refreshed pepped up Z. 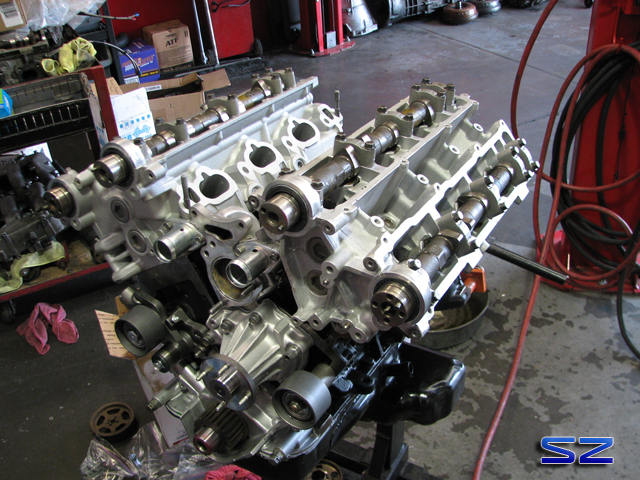 We went with a brand new Nissan shortblock and Stage 1 SZ heads (KISS). 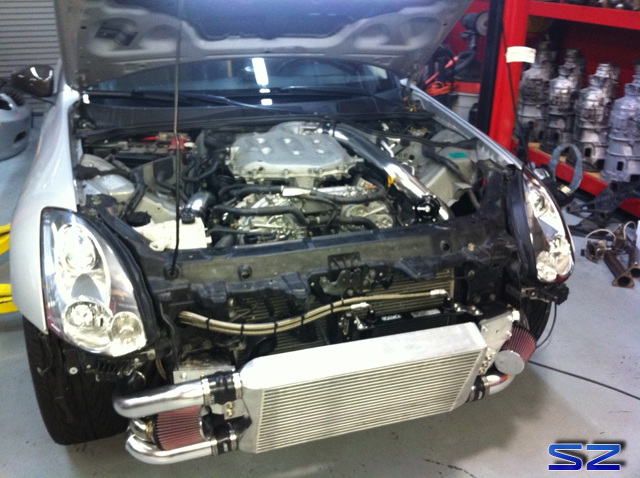 We added a set of MS Manifolds, JWT Sport 530s, and our full 3″ SZ Exhaust from the turbos back. 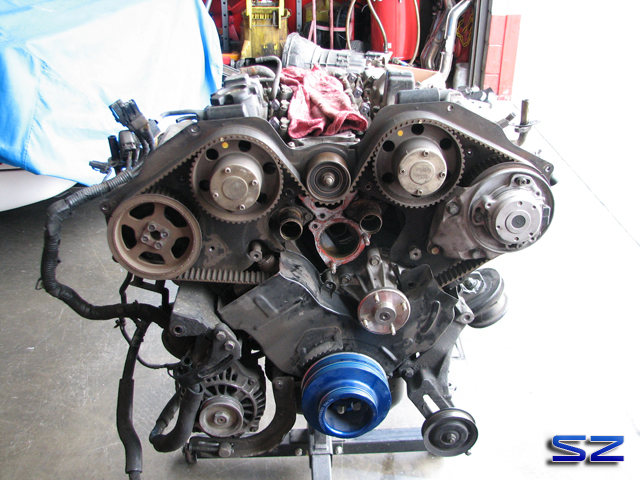 Stock cams, intercooler piping, Stillen ICs, and stock TBs were retained. We also added our SZ flywheel and Max Street Clutch. The old and very tired engine. The new engine coming along nicely. Fresh valve covers and MS Manifolds 🙂 I didn’t take more pics of the build or even the car so this is all you get, unfortunately. Breaking it in on the dyno. It should do better now that its all broken in since the past year. The last time we saw Jesse we had just performed a tune for his NA bolt-ons. 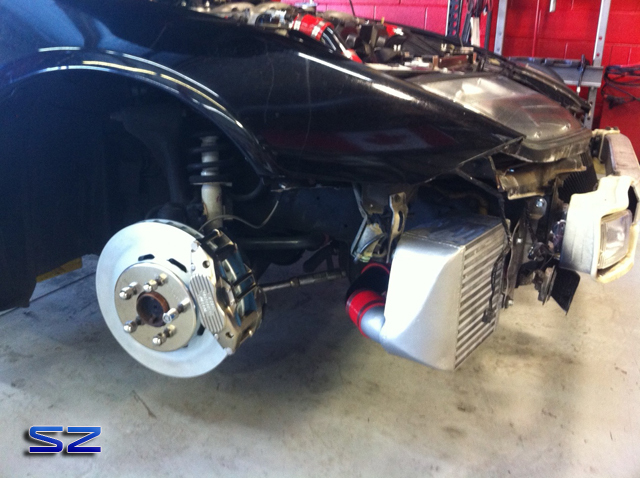 Yearning for more power than the NA bolt-ons could provide we went to work installing a GTM Stage 2 Twin Turbo Kit. 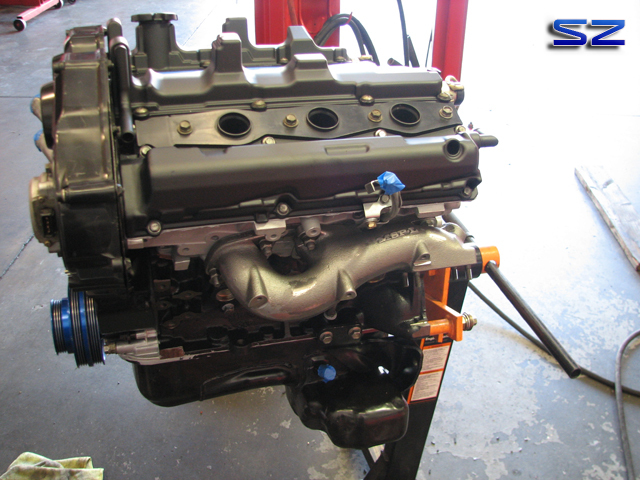 The kit features the use of Garrett GT2860RS’ with .86 turbine housings. An angle mounted FMIC, cast manifolds, internal wastegates, TIAL BOV, 2.5″ down-pipes that allow the use of standard test pipes or even the factory cat pipes for smog purposes. 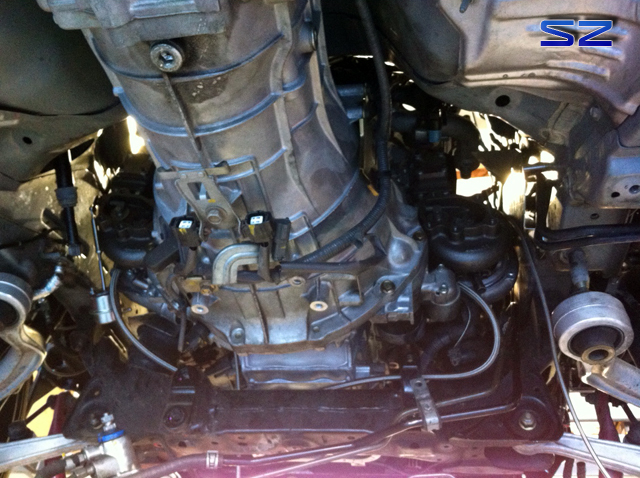 We installed a Walbro 255 fuel pump and DW 600cc fuel injectors to supply the needed fuel. 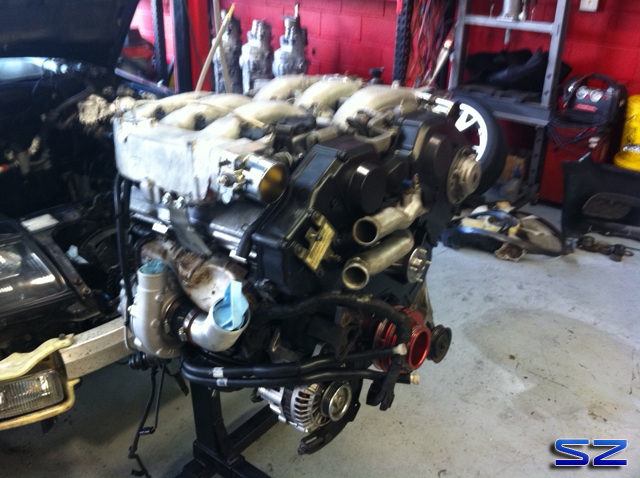 We removed the factory engine oil heat exchanger and added a GTM 25 Row Oil Cooler. 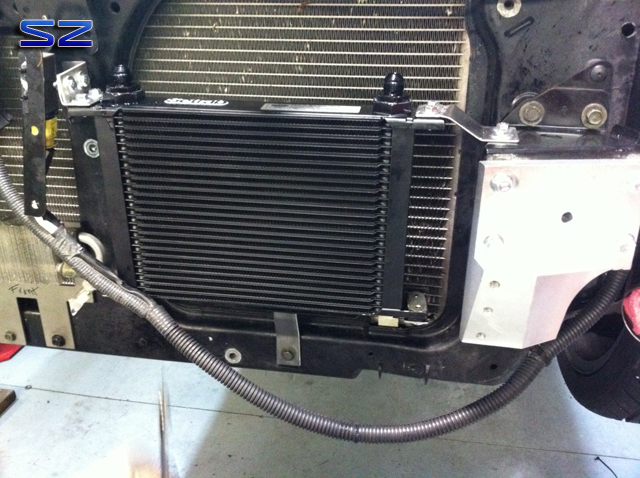 We made our own custom mounts to clear the intercooler. A look from underneath with the turbos mounted. Here’s the graph once we finished our tune. The blue run was Jesse’s best NA run. Red is with twin turbo power. 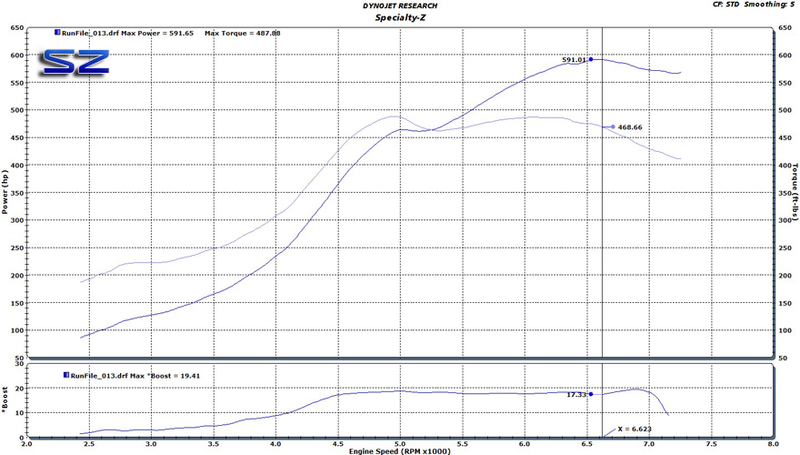 A peak gain of almost 120 whp and 85 torque. This is accomplished only on wastegate spring pressures that make anywhere from 4-6 psi throughout the powerband. We stopped here so that the stock engine could live a long happy boosted life. When Jesse’s ready for more power he can easily have it with the potential that this kit can offer. Motor ready to be dropped in. Massive Intercoolers and Brake Man parts installed. Finally after completing the mechanical work, it was time to tune and make boost! 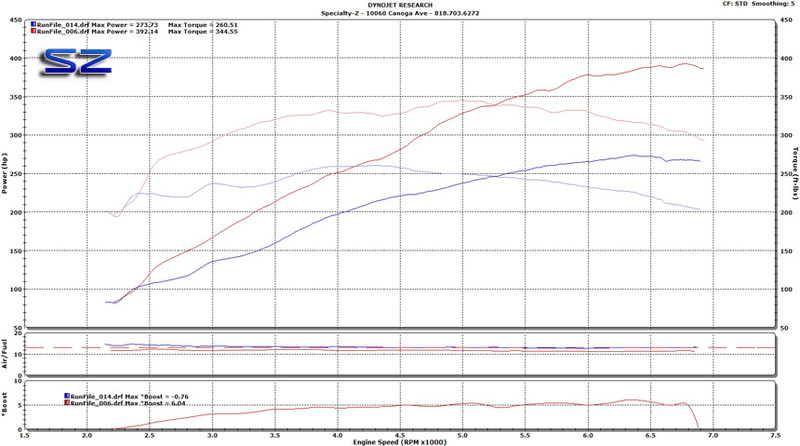 These turbos are capable of easily making over 30+ psi on race fuel which can easily translate to 800+whp. For Rob, it wasn’t about the maximum output but ultimate power on ordinary pump fuel. 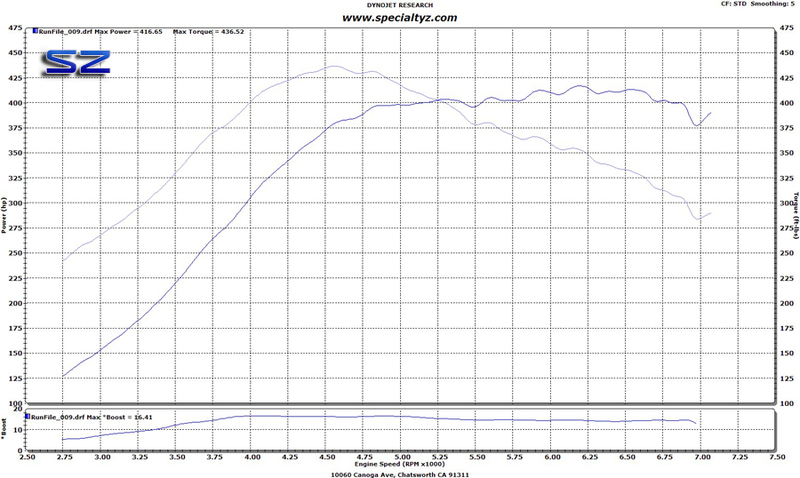 590+ whp on pump 93 octane fuel on 17-19 psi. Not bad! Rob’s original TT fuel pump is struggling to keep up at this point. With some cam tweaks we can raise the entire power-band and smooth out delivery.